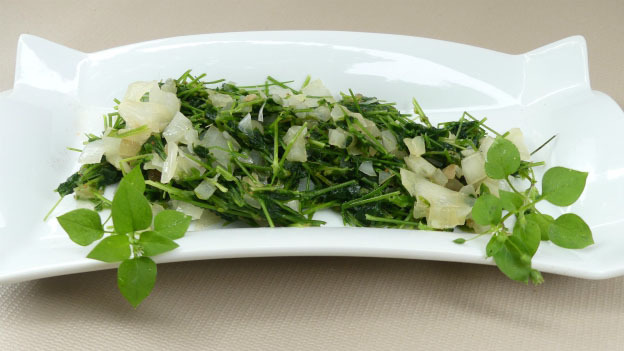 The freshness of chickweed combined with the healthy goodness of onions make this a great side dish to serve at the dinner table. Melt a small amount of butter in a frying pan. Sauté the onion until translucent then add chickweed. Add salt, pepper or any other spices you may enjoy.